Commissioner Gott noted that Commissioner Gardiner was not present. Sarah Gibbens CPA is in attendance. There are no other members of the public in attendance at this time. Commissioner Sheffler made a motion at 7:07 p.m.; seconded by Commissioner McReynolds to approve the December 18, 2018 agenda. Roll called. Motion carried with unanimous vote. Commissioner Gott asked for a motion to move to item 10a, Discuss / Approve FY2018 Audit, presented and prepared by Sarah Gibbens, CPA. Commissioner Sheffler made a motion at 7:08 p.m.; seconded by Commissioner McReynolds to move to item 10a, Discuss / Approve FY2018 Audit, presented and prepared by Sarah Gibbens, CPA. Roll called. Motion carried with unanimous vote. Sarah Gibbens advised the Commissioners that this year went better with the information provided by Kim Meyer and Vickie Lowery. She wanted to hit the highlights and if they review pages 11 and 12 those pages are set up like a private sector with the assets and liabilities. On page 11 it shows that there is over a half million dollars of net position. Sarah moved to the pension information and advised the Commissioners that the pension is 67% funded. Director Reed asked Sarah to explain the funding of the pension to the Commissioners. Commissioner McReynolds asked Sarah questions regarding the pension and the percentage is what contributed by the Park District which Sarah replied that the Park District is contributing 9% but is only required to contribute 4.5% and the percentage funded is where it should be. Commissioner Gott explained that the Park District’s contribution is where it should be and if the contribution was less, they would have to play catch up in the future. Commissioner Gott states that it is a like the Tax Levy and the gradual increase that they spoke about with Kim Meyer last meeting. a. Discuss / Approve FY2018 Audit, presented and prepared by Sarah Gibbens, CPA. Commissioner Sheffler made a motion at 7:34 p.m.; seconded by Commissioner Welch to approve the FY2018 Audit, presented and prepared by Sarah Gibbens, CPA. Roll called. Motion carried with unanimous vote. b. Discuss / Approve payment of Audit billing from Sarah Gibbens, CPA. Sarah Gibbens advised the Commissioners this was the last year of the contract. Director Reed advised that it will be advertised for bid again in the Spring 2019. Commissioner Gott did explain to the Commissioners the amount of the billing is per the contract that was signed. Commissioner Sheffler made a motion at 7:35 p.m.; seconded by Commissioner Welch to approve payment of Audit billing from Sarah Gibbens, CPA. Roll called. Motion carried with unanimous vote. Commissioner Gott asked for a motion to move back to item 4, Approval of the Regular Meeting Minutes: November 27, 2018. Commissioner Sheffler made a motion at 7:37 p.m.; seconded by Commissioner McReynolds to move back to item 4, Approval of the Regular Meeting Minutes: November 27, 2018. Roll called. Motion carried with unanimous vote. Commissioner McReynolds made a motion at 7:38 p.m.; seconded by Commissioner Welch to approve the November 27, 2018 minutes. Roll called. Motion carried with unanimous vote. Commissioner Gott asked Director Reed if there was anything that needs to be brought to the Board’s attention. Director Reed advised that the Park District is still in good shape with their percentages on the incomes and expenses year to date. In the January or February meeting he would like to discuss accepting bids for a new truck and will meet with Kim Meyer regarding the purchase. Commissioner McReynolds asked if the purchase was in the budget with Director Reed replying it is not on a specific line item, but when he meets with Kim, he will discuss either applying the purchase to the draw down or the amount that is over the cash reserve. Commissioner Sheffler made a motion at 7:45 p.m.; seconded by Commissioner Welch to approve the November 2018 Financial Report. Roll called. Motion carried with unanimous vote. Director Reed hit the highlights of the Administration Report adding the information regarding the possibility of Park Services staff building chime / drum features in house to add to the other parks. The Commissioners present had nothing to add for reports. Commissioner McReynolds made a motion at 8:09 p.m.; seconded by Commissioner Sheffler to approve going into Executive Session. Roll called. Motion carried with unanimous vote. Commissioner Sheffler made a motion at 8:12 p.m.; seconded by Commissioner McReynolds to approve reconvening into Open Session. Roll called. Motion carried with unanimous vote. Commissioner Gott stated he wanted to go back to item 7 and read the Christmas card from Jack and Kim to the Commissioners. c. Discuss / Approve dedicating Field # 2 to Bill Hopkins. Director Reed advised that Bill was a long-time coach and supporter of Marion Youth Baseball and he had spoke to Bill’s wife regarding the request. She advised Director Reed that Bill loved baseball and the parks, and this dedication was appreciated. Commissioner Sheffler made a motion at 8:17 p.m.; seconded by Commissioner McReynolds to approve dedicating Field # 2 to Bill Hopkins. Roll called. Motion carried with unanimous vote. d. Discuss / Approve meeting dates for the fourth Tuesday of each month for January 2019 – October 2019 and the 3rd Tuesday for the month of November and December 2019. The Commissioners discussed the dates for 2019 with several Commissioners stating that January’s meeting will need to be moved. Administrative Assistant Kim advised the Commissioners that the May meeting would also be the day after Memorial Day with the Commissioner deciding to move that date as well. It was finally decided that January 2019 date would be changed to January 15, 2019 and May 2019 date would be changed to May 21, 2019 with all other dates remaining the same. Commissioner Gott advised that this schedule will be submitted and printed in the paper. Commissioner McReynolds made a motion at 8:23 p.m.; seconded by Commissioner Sheffler to approve the dates listed and changed for the Regular Meeting for 2019. Roll called. Motion carried with unanimous vote. 12. Next Meeting Date: January 15, 2019 due to the changes approved.  Commissioner McReynolds made a motion at 8:25 p.m.; seconded by Commissioner Sheffler to adjourn the Regular Meeting of the Marion Park District Board of Commissioners. Roll called. Motion carried with unanimous vote.